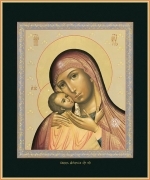 The Mother of God Lomovskaya. 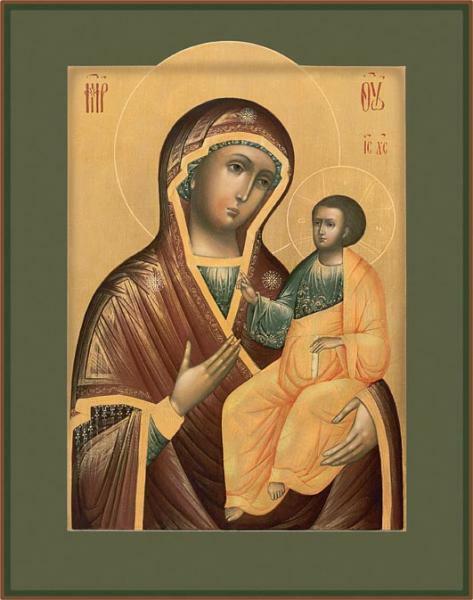 The Mother of God Iverskaya. 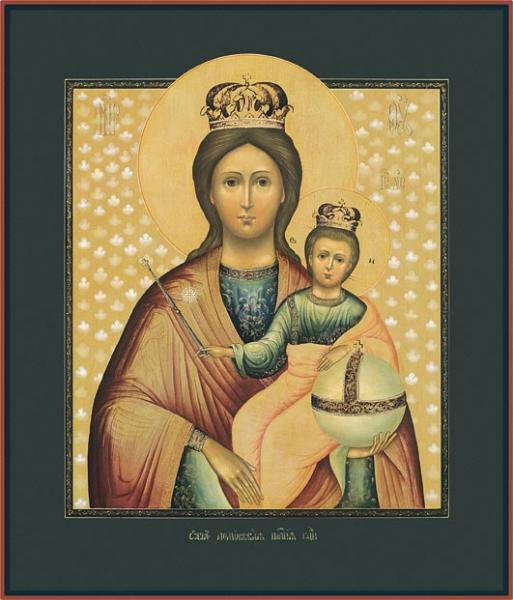 The Mother of God Hodegetria. 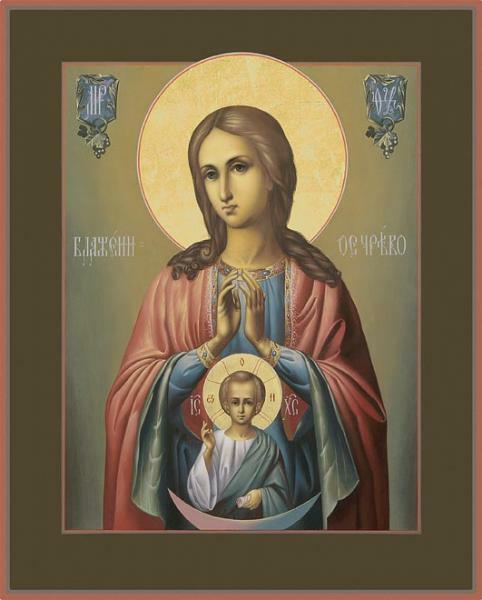 The Mother of God of Dnepr. 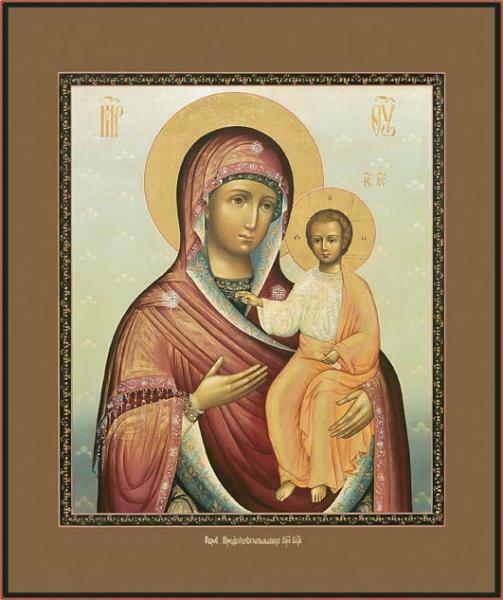 The Mother of God Kupyatitskaya. 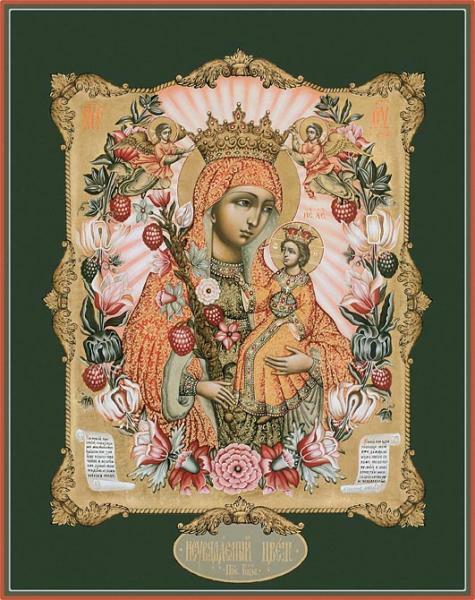 The Mother of God "The Unfading Blossom. 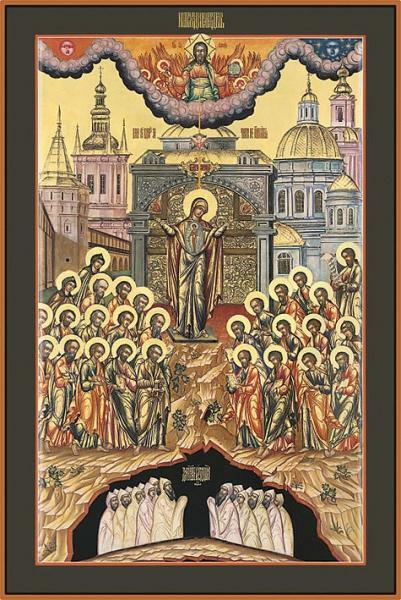 The Mother of God «Gate Impassible». Явление Богородицы во время Первой Мировой войны. 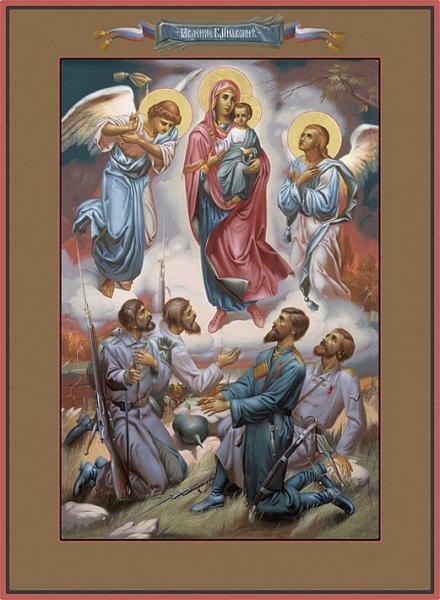 Annunciation of the Mother of God during the First World War. 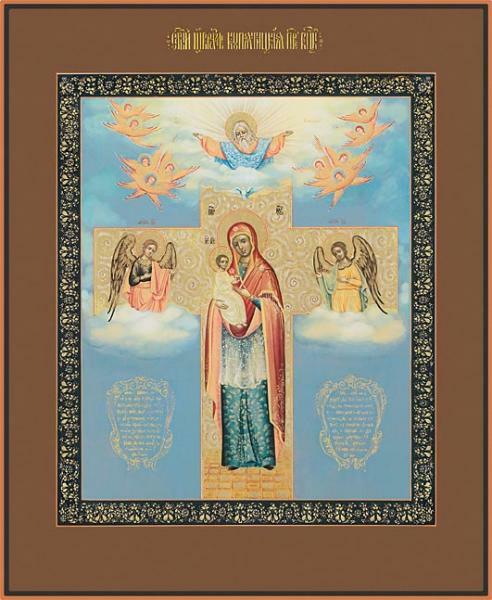 The Mother of God «Blessed Womb».